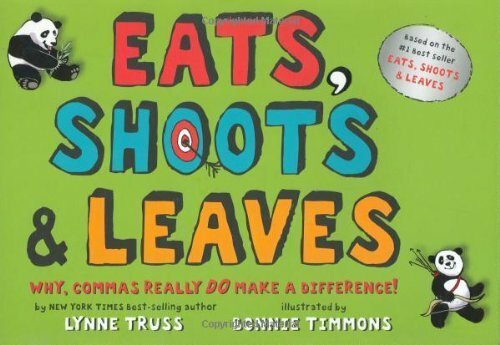 Home » Books » Eats, Shoots & Leaves: Why, Commas Really Do Make a Difference! 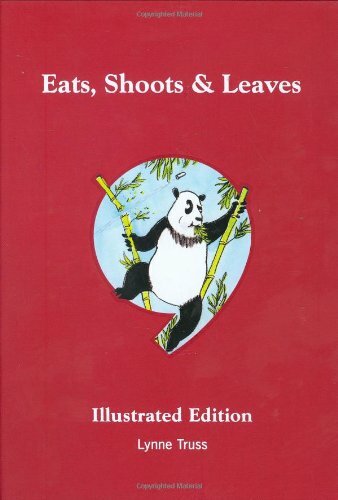 Almost from the beginning of Eats, Shoots & Leaves’s success, we thought about doing a book for children. In fact, I nearly signed a contract before I pulled myself together and realised that I didn’t know what form this children’s book would take. An old friend had sent me a copy of a marvellous book from the 1940s called “The Grammatical Kittens”, which was about some rather posh kittens called Caroline and Algernon who had been mixing with some rather rough kittens in a nearby barn and had started to drop their aitches, so their mummy asked a clever old sheepdog to teach them proper English. Did this have much potential for an update? 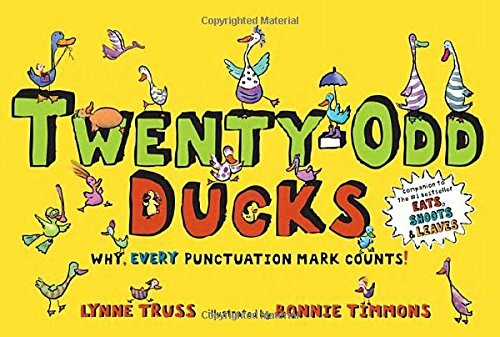 Meanwhile I had an idea for the family of punctuation: the comma as the ever-tidying mummy; the full stop (or period) as the daddy who always comes in and says “That’s enough of that.” Politically, this was all a bit of a minefield. More importantly, it wasn’t particularly helpful to children, either. 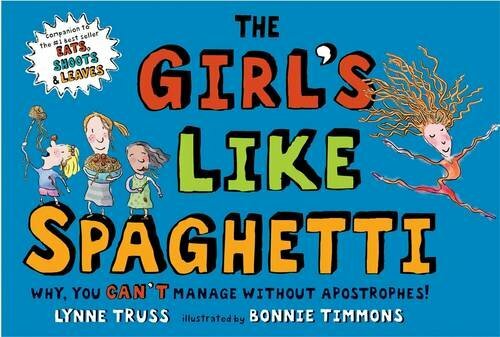 Choosing the illustrator was a lot of fun, but didn’t take long, because we all responded to Bonnie Timmons’s wit and warmth. She’s managed to do such clear drawings, yet they contain lots of funny detail. What I mainly enjoyed about the process was thinking entirely in terms of visual jokes (“Look at that huge hot dog” as opposed to “Look at that huge, hot dog”). It’s great to show small children that punctuation is fun. Obviously, it won’t tell children all they need to know about the comma: there are no grammar lessons in it, and it certainly isn’t comprehensive. It’s just funny. 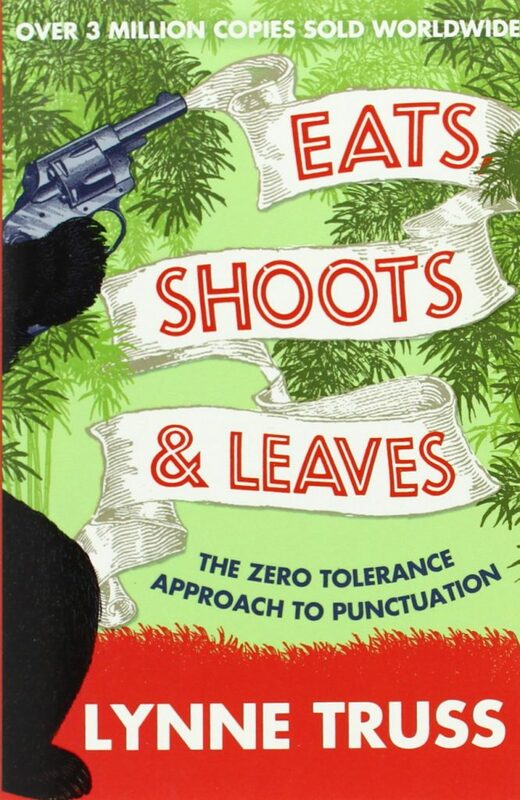 It shows that language is ambiguous and that punctuation can help you avoid saying something you didn’t mean to say. Mainly, it just shows how a little mark can make a big, big difference.